1.What did it mean to you to win the Longines Global Champions Tour Grand Prix of Doha? It is an amazing win on my list! It’s wonderful to start the Longines Global Champions Tour season this way! 5. What was his treat after winning? Carrots! 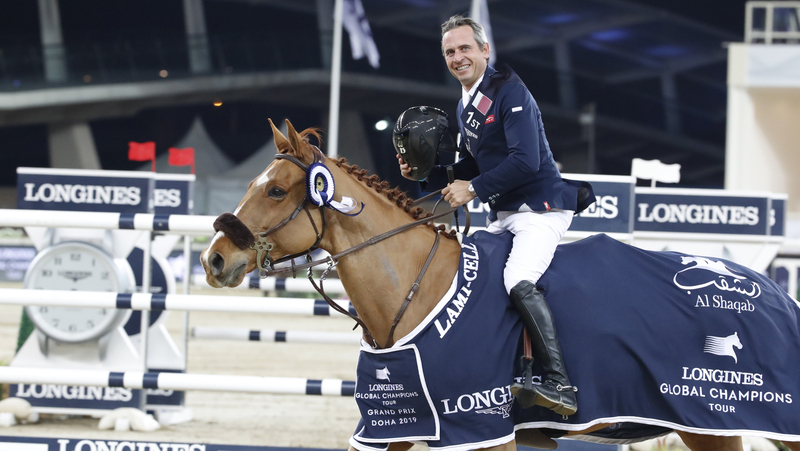 7. Who was your biggest rival in the LGCT Grand Prix of Doha jump-off? My biggest rival was Ben Maher. Suspense stayed until the very end! 9. Who gets to wear your beautiful Longines watch? My flat rider who works my horses everyday when I’m away at the shows. To say thank you.